A Great Moot talk by Eowyn OR Many understand an archetype to be a model of a person, personality, or behaviour- a prototype or idealised form- which is then copied in some way, either via its appearance, patterns or behaviours. It is also understood as a stereotype that is observed multiple times, such as in our perception of the hero or the “puella” (eternal girl) image that is foisted upon girls and women today. Some folk understand the gods from these perspectives: thus Odin may be perceived as the image of a figure wearing a blue cloak, wide-brimmed hat and having one eye being followed by two wolves and two ravens. The problem with this “psychologised” understanding of an archetype is that it is a flat, lifeless pattern resembling a cookie cutter that is superimposed onto something that is a living entity: the map is not the territory. 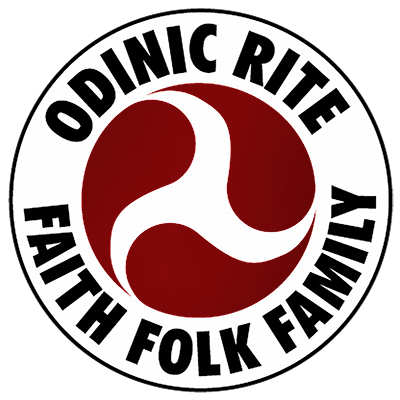 by Asrad CG (based on a talk presented at the Great Moot 2256) Today I would like to talk to you about what is perhaps the most well know of all our Odinic Myths, the Ragnarok. People that know nothing of Odinism or our rich and wonderful Odinic mythology will have heard of the Ragnarok. They may know of it as the “Doom of the Gods” or Richard Wagner’s Classical masterpiece “Twilight of the Gods”. Of all our myths this one section of our mythology is without doubt the most written about, most discussed, and in my opinion the most relevant to us as individuals as a group and as a folk unit. Within the Odinist / Asatru community as a whole, there is often a rampant misunderstanding and false perception of Loki. At its worst some would claim to be on the ``Lokian path``, some offer blot to this force or pay honour. To be blunt the ignorance displayed in doing such is staggering and to compound it, such individuals invariably think they are actually very clever. They chase further ignorance believing it wisdom, but such is the nature of the Loki energy, it deludes.